Facebook introduced a new feature for local business pages: Verification. 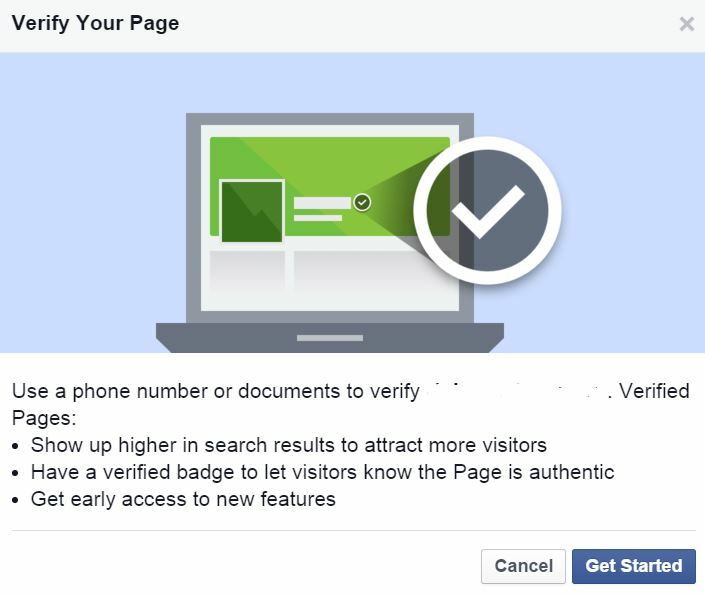 Verified pages will not only appear higher in search results, but they will also have a verified badge to indicate to visitors the Page is authentic. In addition, verified pages will receive early access to new features! Are you convinced? Let’s get started. Before we begin, you will have to confirm your administrative status, as this is ONLY available to full admins of the page, and NOT editors, moderators, advertisers, or analysts. Admins can verify via phone immediately, otherwise, admins can verify with documents, which will take longer. That’s it! The review process may take a few days to complete, but otherwise you’re done! Note: This is currently only available for Facebook Pages in the category: Local Businesses. Whether you are a veteran social media user, or a beginner, it is important that you take the necessary steps to optimize your social media profiles. 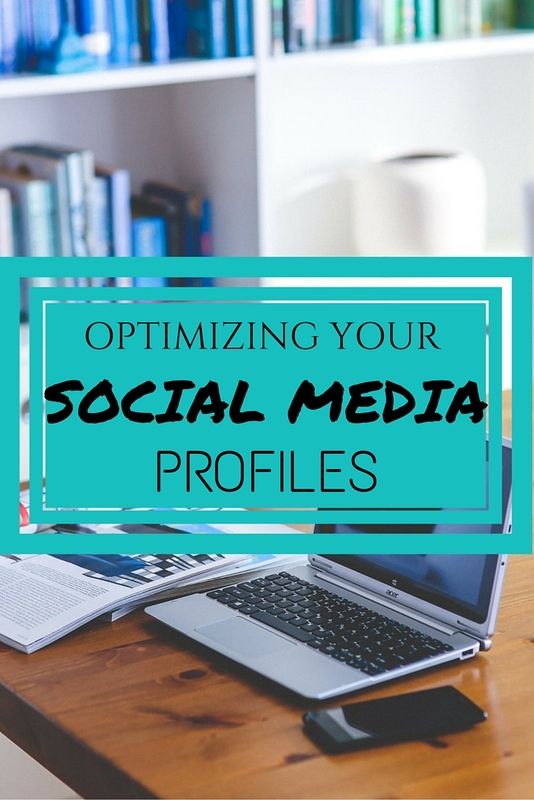 What does “Optimizing a Social Media Profile” mean? Optimizing social media profiles means putting your best foot forward on social media, which includes brand management, properly sized photos and images, as well as relevant and timely content. Hootsuite, developer of Podium, blogged about 12 Ways to Improve Your Social Media Profiles. (Link: http://ow.ly/TbPAO). Building on the content discussed by Hootsuite, I will highlight 3 additional best practices. While many people use the Twitter favourite button as either a Twitter-enabled bookmarking tool or acknowledgement of a read-tweet, there is a better use of this underutilized tool. Leverage this section of your profile by favouriting recommendations from other Twitter users. First, use the favourite tool to bookmark tweets about you, specifically tweets that highlight the amazing person you are, and the stellar products/services that you provide. When Twitter users visit your profile they have the opportunity to visit and read these favourites. Second, rather than listing logos of companies you”ve worked with, or including text-based recommendations, create a free Twitter widget of your favourites, and embed these real-time recommendations on your website. If people ever question who you”ve worked with/for they can review your Twitter favourites, which link to real companies. Have you checked out how your Facebook Personal Profile appears to the public? It”s about time that you learn what the public can see when they are viewing your timeline. Navigate to your Facebook personal timeline, click the ellipsis (aka. the 3 dots) on the right-side of your cover photo, then select “View As…”. Facebook will refresh your timeline to the public view of your account. Now that you know exactly what information is available on your timeline – it”s time to clean-up your timeline, including posts, friend lists, “likes,” photos (including albums, cover online casino nederland photos, and profile pictures), groups, and events. In the About Section, I recommend updating “Work & Education” to include a link to your Facebook Page, as well as contact information, including email, website, and other social media profiles. This information should be public. Because Pinterest”s layout is unique from Facebook, Twitter, and LinkedIn, users have to get a bit more creative to properly brand their profile. While users can include a profile picture (i.e. professional photo or logo), short bio, website, and links to other social media profiles, a large visual presence is missing. Consider creating customized board covers that leverage your company”s marketing, logos, colours, or typeface. Board covers can be uploaded at anytime, but must be designated the board cover, for them to appear on a profile. Do you have any tips to share? Comment below. In the meantime, check out 12 additional tips from Hootsuite 12 Ways to Improve Your Social Media Profiles. (Link: http://ow.ly/TbPAO). A few weeks ago, my husband learned one of his favourite professors at Brock University had passed away. This particular professor was an ongoing inspiration to my husband and upon his passing, he wrote a short, heartfelt blog about the professor’s impact. This struck me. What would the conversation had been like if this conversation was face-to-face, or even if the professor had been able to read my husband’s blog. I wanted to dedicate this blog a professor who was an inspiration to me: Marilyn Cottrell (aka Econ Diva). In 2003, despite my keen interest in business and economics, I applied to universities that offered Child and Youth Studies. Eventually settling on Brock University’s Child and Youth Con-Ed program, I was faced with the opportunity to select two electives. Like any good nerd, I chose Canadian History with Donald Wright (also an amazing professor), and micro and macro economics. Having taken OAC economics in high school, I felt prepared for these courses. When creating my university schedule, I chose a Wednesday lecture from 19:00-21:00. That’s right. Three hours of microeconomics on a Wednesday evening. The professor was a stereotypical professor – quirky, intelligent, with a side of dry humour. The following day was my tutorial, a small class-like setting in which a teacher’s assistant (TA) would review material discussed, as well as deliver assignments, quizzes, and exams. Marilyn was different. She was energetic, funny, and enthusiastic about the otherwise dry, topic of economics. Within a short period of time, I found myself writing my first university midterm, which was comprised of 50 multiple choice questions. When the midterms were returned in our tutorial, Marilyn smiled as she returned the majority of the exams. When it came time to retrieve my exam – she had a disappointed look upon her face. I got 55%. Terrified that I had jeopardized my entire university career, I learned how study properly, as well as implement techniques to master multiple choice exams. When I received the second midterm back, Marilyn had a smile upon her face. I got 96%. By this point, I had made the decision to change majors from Child and Youth Studies to a BA in Business and Economics. Because economics was not a full credit, the second course was macroeconomics. Having signed-up for another 3-hour lecture, I was surprised to learn that my previous TA Marilyn, was a professor. She was energetic, enthusiastic, and many times, used props to engage students. Throughout the semester I went to visit her to chat about economics and clarify anything I didn’t understand. She was always willing to help. She cared about her job and her students. 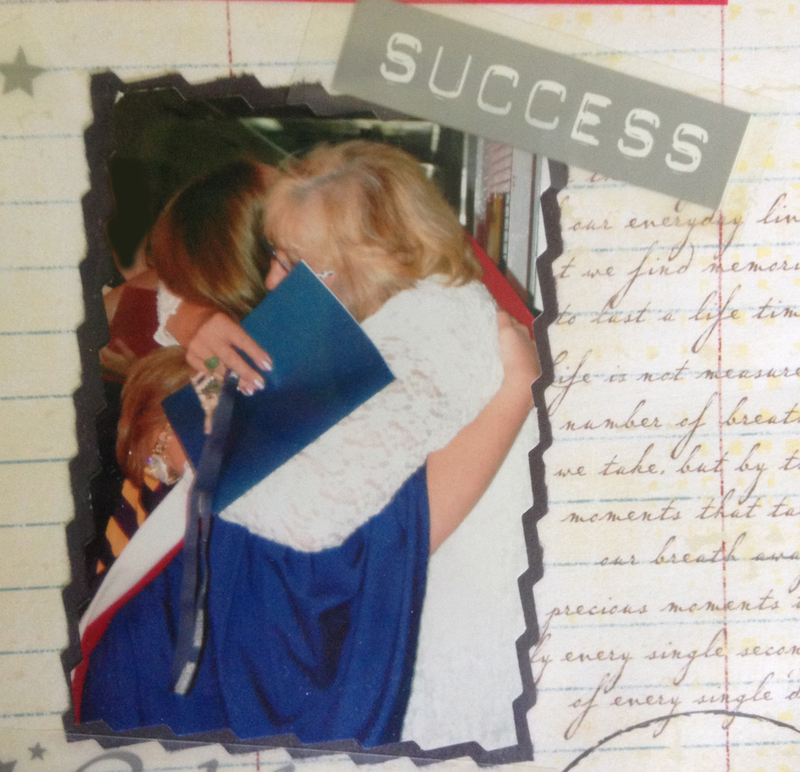 She also inspired others to be their best, and encouraged students to succeed. By the following September, Marilyn, my formerly disappointed TA, had hired me to proctor midterms and exams for the economics faculties. At the end of my second year, I was hired as a Research Assistant for another professor in the economics department. In my third year, Marilyn hired me as a teaching assistant (TA) for three sections within the economics department. Terrified, nervous, and questioning what I had gotten myself into, I went to my first tutorial. I loved it. I couldn’t get enough of teaching, watching students learn, and the “AH HA!” moment. I was hooked. I was a TA from 2005-2009, teaching as many as three tutorial a semester: fall, winter, and summer. I loved the concept of teaching, and thinking of better ways to explain concepts, theories, and formulas to students. I had students transferring into my tutorial (which was a huge compliment), as well as asking to be in my tutorial. I still keep in touch with many of my former students. This was my “AH HA!” moment. At the tender age of 21, I realized that education does not end with a degree. Adults will continue to seek learning and education, for either professional or personal reasons. This idea has become a huge part of my life, as someone who provides training to adults. Thank you Marilyn for having faith in me 10 years ago to become a teaching assistant. Thank you for giving me a chance to teach – allowing me to discover my true passion.